★ 100% NATURAL, JUST LIKE YOUR HAIR – Unlike other products, Dr. Fill-In uses 100% natural corn fibers, free from chemicals, preventing hair damage or scalp irritation. Dr. Fill-In Fibers are pH balanced to mimic human skin and do NOT conflict with the pH balance of the skin Dr. Fill-In is the perfect alternative for people who want a less invasive approach to hair loss and balding than surgery; & offer quick results while taking Propecia® or Rogaine® which can take months to work. ★ PERFECT FOR EVERYDAY USE – Dr. Fill-In Hair Fibers are undetectable and blend in perfectly with your natural hair. While other fibers are made from animal hair or keratin and wool combinations, Dr. Fill-In uses 100% natural corn fibers that produce a stronger magnetic bond. Lighter and longer, less fiber is needed per application, making Dr. Fill-In a cost effective alternative to cover thinning areas by instantly “bonding” to the hair, not the scalp which can cause irritation. ★ EVERYTHING YOU NEED – Dr. Fill-In Hair Fibers Starter Kit comes with everything you need for thicker and fuller hair. Available in 12 colors, we have a fiber to match almost any hair. The Dr. Fill-In Hair Fibers Starter Kit comes with a pump applicator, for precise control and coverage, a canister of fibers in one of 12 colors and a 2.25 oz bottle of our Fiberhold Spray. Dr. Fill-In Fiberhold Spray has been created to set and hold Dr. Fill-In fibers and to make the results more durable. ★ DR. FILL-IN WORKS ON ALL KINDS OF HAIR LOSS – Dr. Fill-In Hair Fibers are versatile and can be used to hide a variety of hair loss issues. Use Dr. Fill-In to fill thin areas of hair to make it appear thicker and fuller. 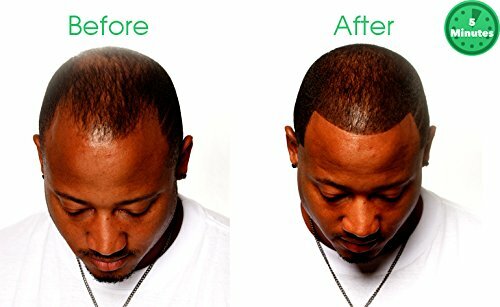 Quickly cover thin or bald spots along the hairline or on the crown as well as on temples and sides of the head. Use our hair fibers to cover extension tracks and wide parts. 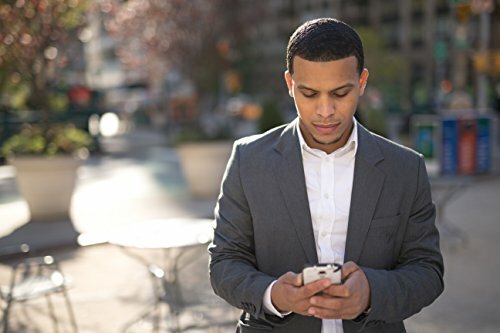 No matter the cause of your hair loss, Dr. Fill-In has the solution for your hair loss problem. ★ EASY TO APPLY - Quickly make your hair appear thicker and fuller with Dr. Fill-In Hair Fibers and pump applicator. 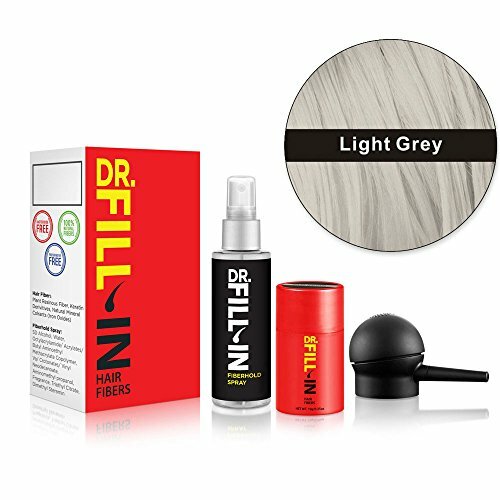 Use Dr. Fill-In on dry hair only. Arrange hair as desired then, pump, sprinkle or dab fibers onto thinning and balding areas. Don’t pump or sprinkle too closely to your hair; too thick of an application can result in an unnatural look. 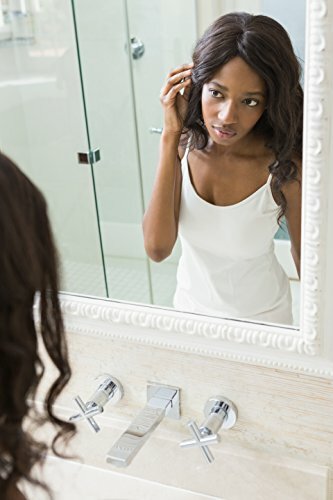 Once satisfied, lightly tap loose fibers into hair. Finish with quick bursts of included Dr. Fill-In Fiberhold spray to lock fibers to hair.